Amy Cotton is a student at the University of California, San Diego and is an ISA Featured Blogger. 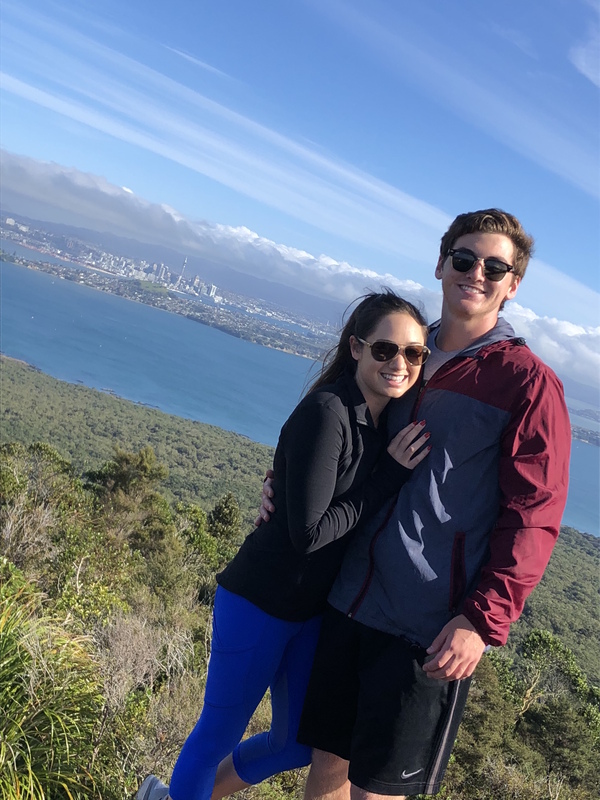 She is studying abroad with ISA in Auckland, New Zealand. Now, everyone has heard of going to Queenstown, Dunedin, and Rotorua for their weekend trips. But there are plenty of articles about those cities. Here are my top five unique weekend destinations for you adventurers! 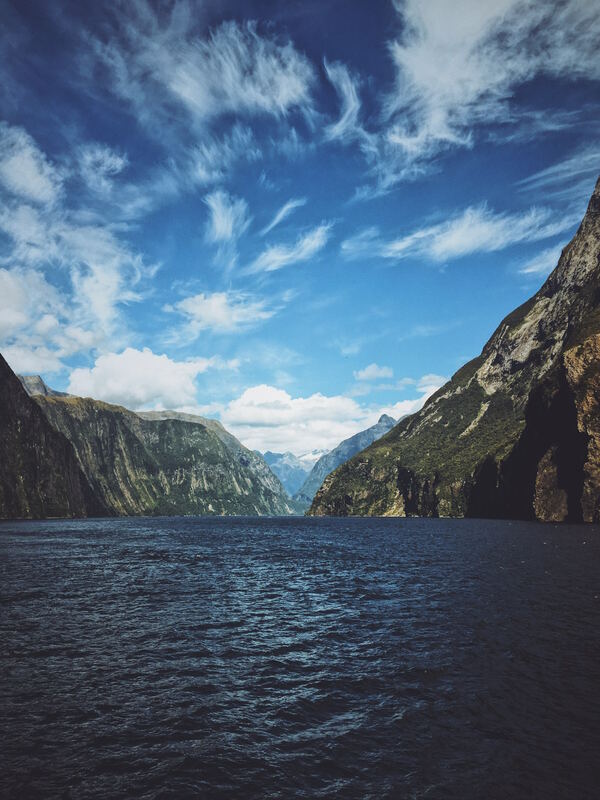 Only a 4-hour drive ride from the famous Queenstown, this detour is commonly referred to as the 8th world wonder of the world—and it is easy to understand why! Taking a boat through majestic mountains and reflective waters is something hard to explain. Sitting on the boat, as the captain drove us underneath a magnificent waterfall with dolphins swimming next to me is something unforgettable. Photos just don’t do this place justice! You have to check it out for yourself. One of my biggest regrets was how I planned this trip. 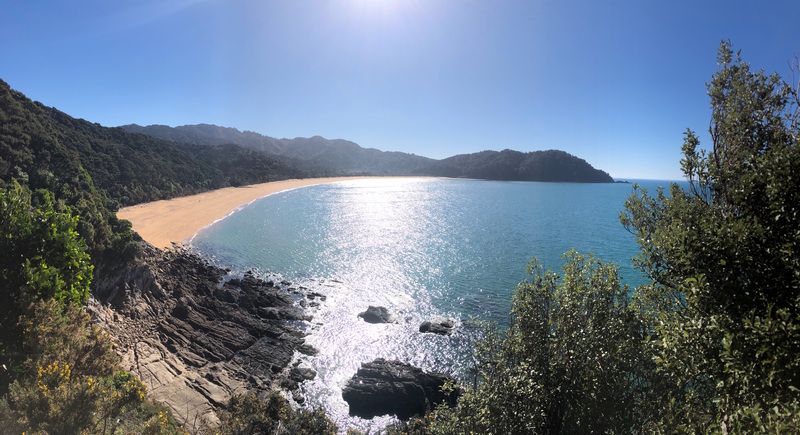 I made the mistake of staying in a hotel room instead of embarking on the three-day hike Abel Tasman has to offer. Whenever I go to a new place and take an uber or taxi, I always ask that person what his or her favorite thing to do in that city is. And without fail, it is this three-day hike. The views will be worth being a little stinky, I PROMISE. I also found this place because of how cheap the flight from Auckland to Nelson was, so that’s always a perk for a student on a budget! This beautiful view was only a 15-minute hike from the parking lot! Lake Tekapo is rated one of the best places to stargaze, and it definitely lived up to its reputation. There are so many cool ways to stargaze too, including floating in a hot spring, going up to Mount John Observatory, or just sitting outside on your porch with hot chocolate. 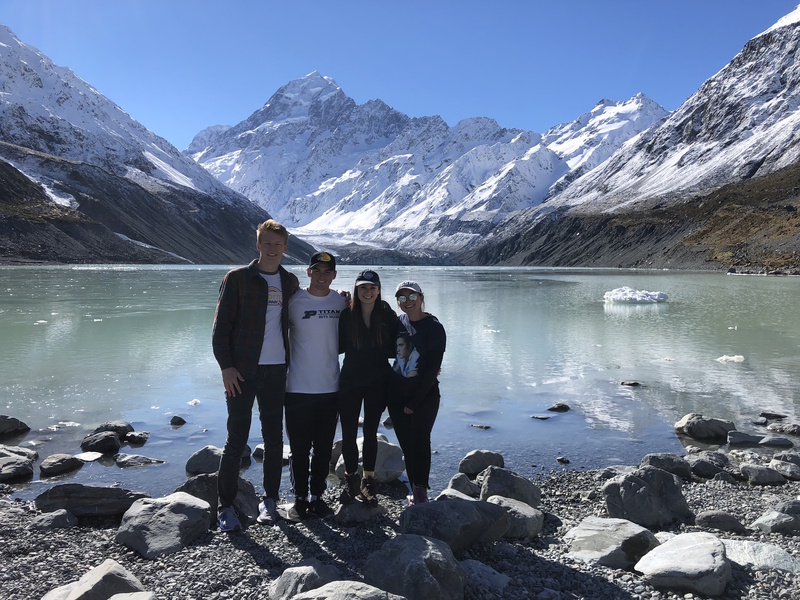 Mount Cook is only a 2-hour drive from Lake Tekapo, and the hikes are incredible. My friends and I did 13 miles in one day because we just couldn’t decide which hike to do—we had to do it all! Our feet were sore, but hearts happy. Skipping rocks with this beautiful view is something not to be missed out on! You can also see glaciers here. Incredible beach views and a “dig your own” jacuzzi in the sand? YES please. There is also an amazing spa there called The Lost Spring that has a day spa and geo pools that are perfect for some R&R (as if your own jacuzzi in the sand isn’t R&R enough). I also heard Slipper Island is comparable to the Maldives, and you can camp there for $15 NZD + short ferry ride. I didn’t get a chance to check it out, but it’s supposed to be amazing. I decided to include Auckland because I am staying in Auckland, and would NEVER expect so many amazing hikes so close to a city! Mt Eden is a 10-minute drive from the city, Rangitoto island is a 25-minute ferry from Auckland Harbor, Piha is an hour drive away, and Lucas Creek Waterfall is a 3-minute walk from a main street in Albany, Auckland! Make sure to make the most of the place you’re studying abroad—you don’t always have to fly somewhere to be in the beautiful outdoors. It is New Zealand, the most beautiful country in the world, after all! This is from Rangitoto! Feel free to comment below if you want more pics/advice about around Auckland!